Pruning wounds represent a significant point of entry to grapevine trunk diseases fungi, while pruning debris and symptomatic vines are a source of fungal inoculum. Implementation of preventative control strategies needs to be adopted early after vineyard establishment but winegrowers mainly start to conduct control strategies after grapevine trunk diseases’ leaf symptoms appearance. 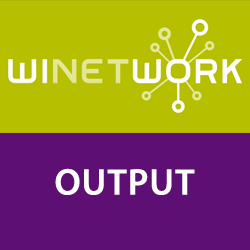 This techincal datasheet was elaborated by the Faciliator Agents of Winetwork project using data coming from practice through the help of interviews made in field in 10 european wine regions and with the help of scientific review of litterature made by the Scientific Working Group on GTDs.